The results came as American Express faces a much more competitive landscape than it did only a couple years ago. The Chase Sapphire Reserve Card by JPMorgan Chase became a major product in the premium credit card market, something that solely belonged to American Express with its Platinum Card. In response, AmEx has been adding benefits to its cards, like a $15-a-month credit on Uber, or, with the recently revamped Gold Card, a $10-a-month credit on select dining outlets. 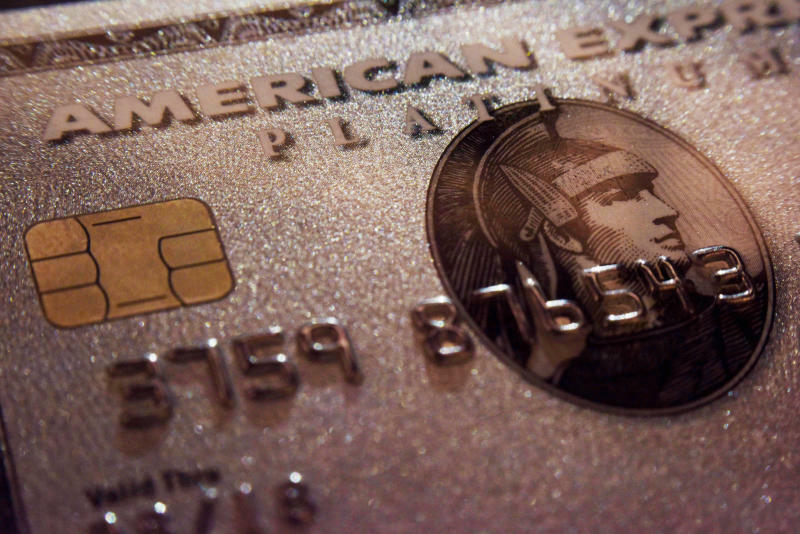 Meanwhile, AmEx has been raising the annual fees on its cards to make up for the increased benefits — something that appears not to be driving away new or existing customers. Total cards in force grew by 7 percent from a year earlier, despite the fee increases. AmEx has also been encouraging its users to maintain a balance on their cards as well, collecting more interest income particularly as interest rates rise. Total loans held by AmEx users were $77.6 billion in the quarter, up from $67.9 billion a year earlier. That helped contribute to a 20 percent rise in interest revenue this quarter. Despite the rise in delinquencies, American Express Chief Financial Officer Jeff Campbell said the defaults are "slightly better than what we previously expected."